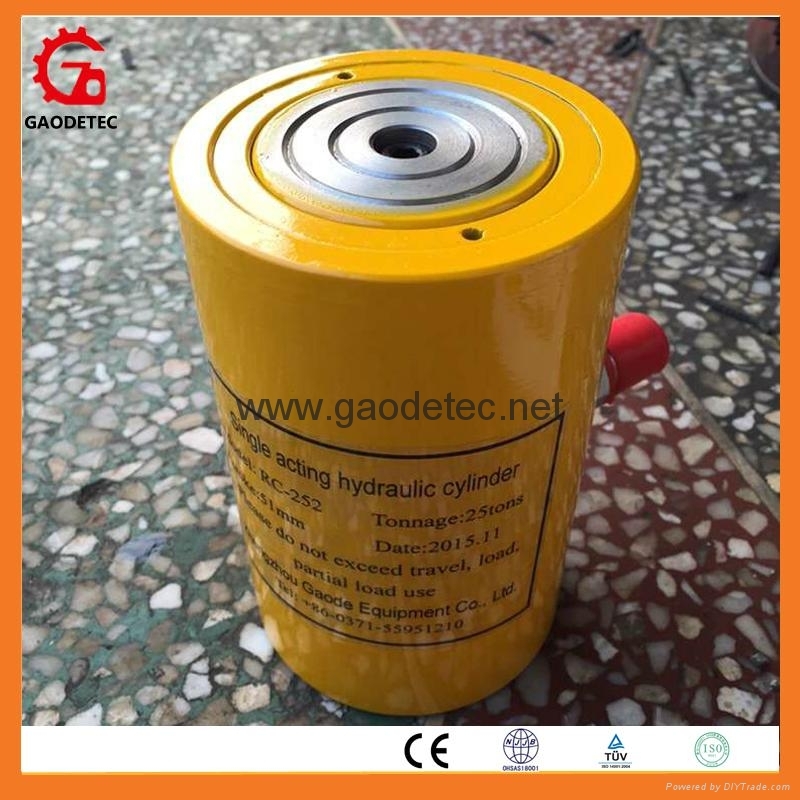 High pressure dobule acting hydraulic cylinder is powered by ZB series of high pressure electric oil pump, the function for oil pressure rebound, overflow, it is designed a safe protect pressurizer, it can protect emergent over pressure, especial construction can protect cylinder. 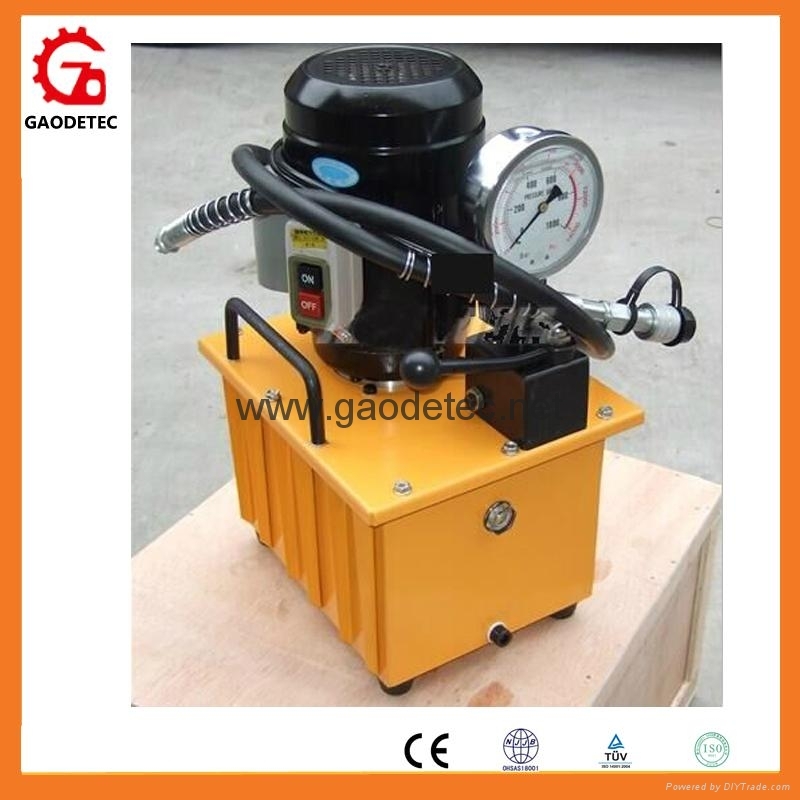 Hydraulic cylinder can bear partial loading is 5% of rated pressure. 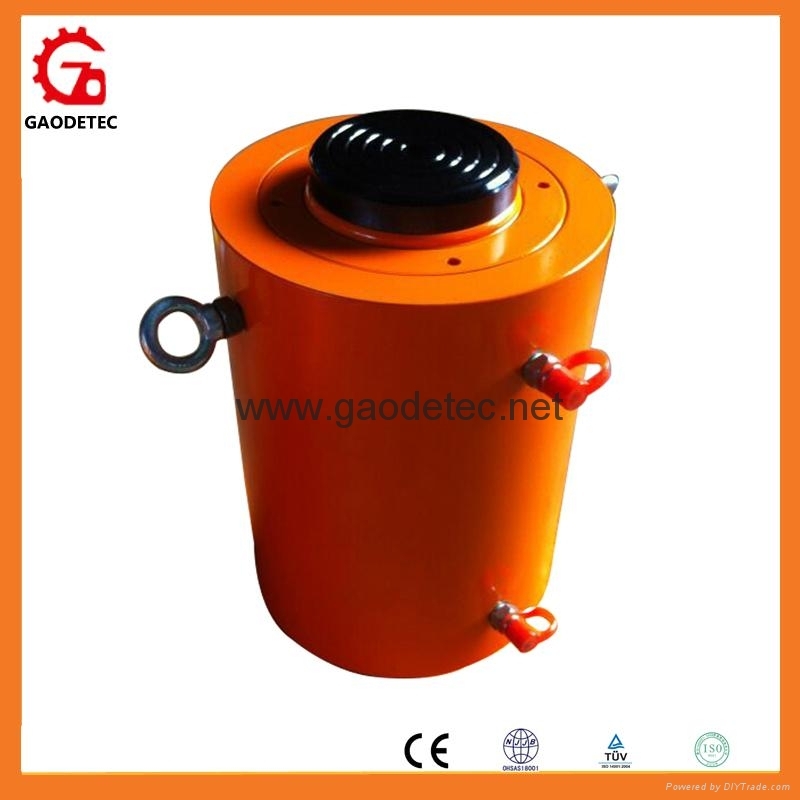 High pressure alloy cylinder is very durable, especially in the larger project, it is easily to be operated and control. 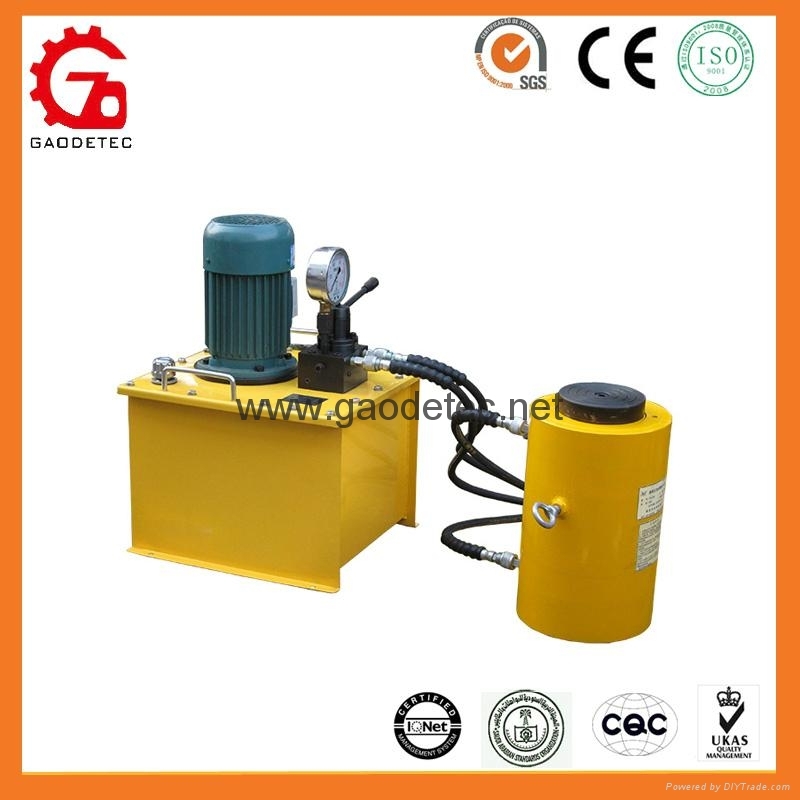 It can be used for lifting heavy machine, bridge project, hydraulic engineering, harbour construction and other equipment. 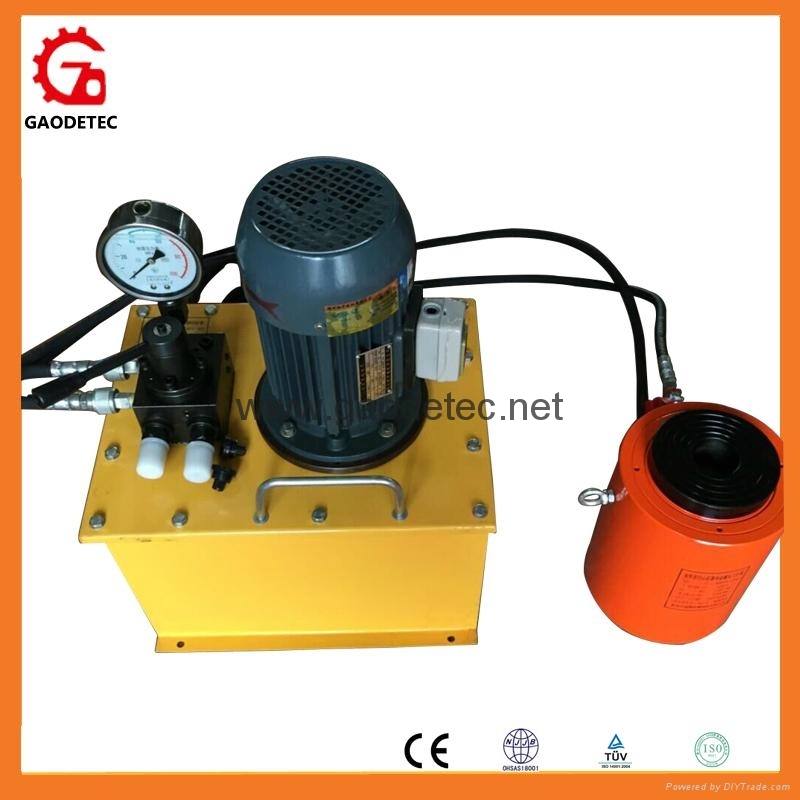 It has large output, light weight, remote control and other advantages, it can match with our high pressure oil pump, it can reach jack, push, pull and extrusion and kinds of working.